Photo courtesy of Elizabeth Silow. As much as we love Philly’s gorgeous yoga studios, we can’t even contemplate spending time indoors on a warm summer evening — that time has to be spent appreciating the sunset. 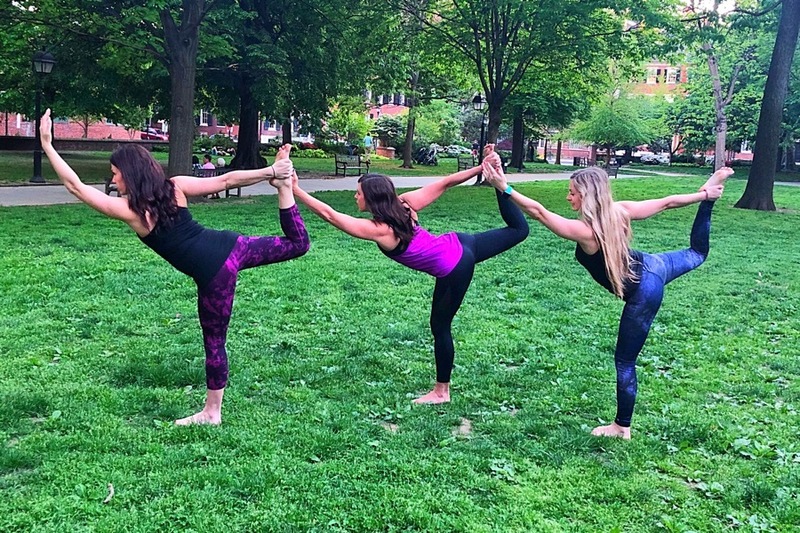 But, since we still need to get our yoga fix, we’re all about Philly’s packed schedule of outdoor yoga classes. To help us really wind down, there’s Peace at the Park, which combines yoga and meditation in a weekly Tuesday evening series. Starting May 29, Peace at the Park will take over a patch of grass in Washington Square Park every Tuesday at 6 p.m. and will run throughout the summer and as long into the fall as the nice weather lasts. The sessions will be led by Vitality Meditation instructor Elizabeth Silow, along with Allie Brochet and Megan Grosso, and they’ll be open to yogis of all levels. Each pop-up session will begin with 40 minutes of yoga — but may deviate depending on the needs and wants of the group — followed by 20 minutes of meditation on the serene (well, as serene as it gets in the middle of the city) and grassy lawn of Washington Square Park. Classes at Peace at the Park will span multiple yoga practices including yin yoga, Hatha, and alignment-based classes. Peace at the Park’s kick-off party is on Tuesday, May 29 at 6 p.m. where you’ll get your stretch on, zen out, and then be able to taste Inspired Brews kombucha to round out the evening. For this class, and all other classes in the series, there is a $5 to $10 suggested donation. Keep your eyes peeled on Peace at the Park’s Instagram for important updates, event announcements, and inclement weather notices. Washington Square Park is located at 210 West Washington Square.